This Report is based on Laura Villalobos’s master's thesis, turned into a peer reviewed and published in EDE in 2015, with the support of EfD. To read the article in La Nación click here (Spanish only). The State of the Nation Program is an annual report that allows further study and discussion of the sustainable human development in Costa Rica in order to improve citizen access to comprehensive, timely and accurate information about the public affairs information. The State of the Nation works under the slogan: "Know the Costa Rica we have and think of the Costa Rica we want," and publishes important trends for analysis of national performance in sustainable human development in social, economic, environmental and political aspects. 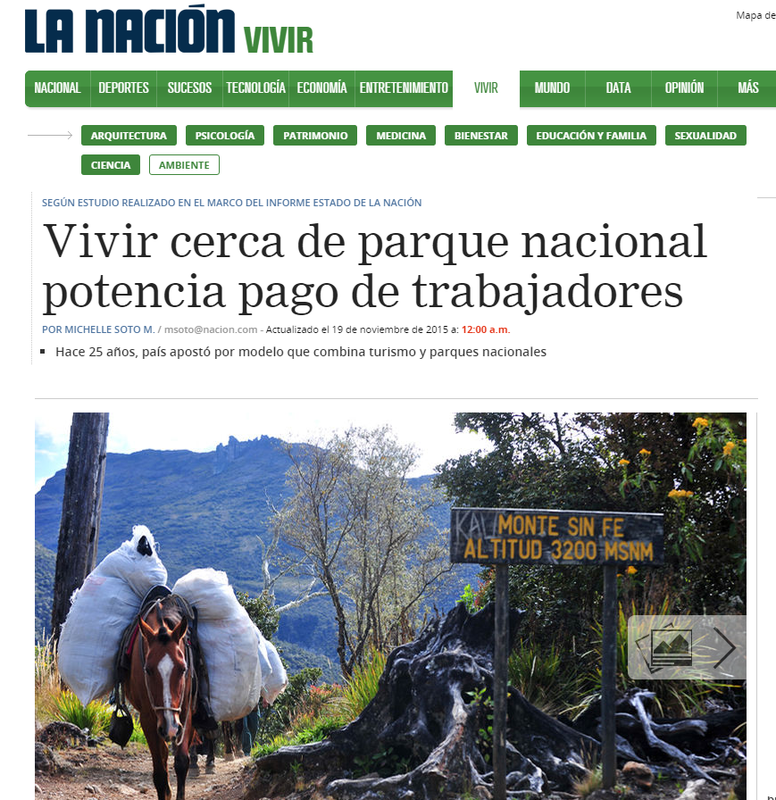 To read Juan Robalino´s and Laura Villalobo’s final report: “Effectiveness of conservation policies in Costa Rica” in the State of the Nation Program, click here (Spanish only).